Flippa, the world’s number one marketplace for buying and selling websites, domains and apps, has turned 6 years old and as a way of celebrating this, users are allowed to claim $60 FREE Flippa credit. Start 3 website auctions... or 6 domain auctions! 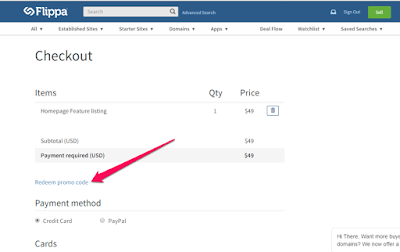 ==> Click on the "Sell" button to create an auction. Domain auction costs $9; established site auction costs $19. So, select the option based on what you want to sell. 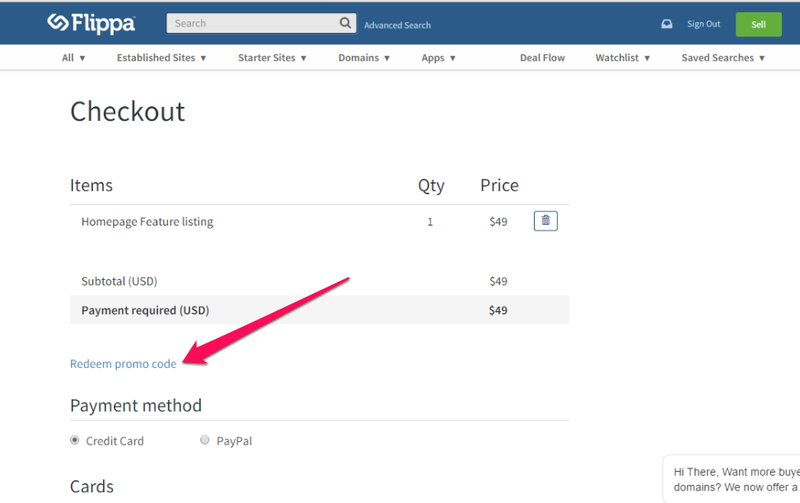 ==> Enter the URL of the website or domain you want to sell and click "Get Started"
==> Click "Redeem Promo Code" in the Checkout page. ==> Enter the promo code "FLIPPA60" and then "Redeem", then it will automatically be applied to your Flippa account. You can also use redeem the coupon while upgrading an existing listing. - Offer expires June 24th, 23:59PM PST. - A maximum of $60 credits will be provided per user.